Adopting an oldie is a decision that many families make not quite knowing what they are letting themselves in for. None of us know how long our dog will stay with us and we make the decision with two very big questions in mind. Can I face the inevitability of their death? Can I manage the financial responsibility of an older dog? Whilst these are very real considerations to bear in mind, it’s important to remember that it’s a sad fact that all animals will die and we have no way of knowing how far into the future that time will be. A one-year-old comes with no guarantee of living until they are eighteen. A ten-year-old has no guarantee of dying within the next year. We simply can never know how many days a dog has in it. Of course, adopting an oldie, it is more likely that you will have to face this situation sooner than you would if you adopted a younger dog, but there are several reasons why you should bear age in mind and then make a rational decision that puts age firmly back where it belongs: with every other decision you make about adoption. It is something you need to know, but not something you should base your decision on. Sadly, many conversations involving adoption are focused on age. Too often, we see the age of the animal as a hindrance and do not take into consideration our own age. Around twenty percent of the dogs at the refuge have arrived there following the death of their owner. Many dogs at the refuge spend longer than average waiting for a home if they are old. At the refuge, we even have discussions about whether or not we want to put the age of the dog on their public information records, as so many people are put off by knowing the dog is a golden oldie. “Too old!” is a statement the refuge staff are used to hearing. Honestly, that’s a bit of a shame. Although Ralf was twelve when he arrived with me, he didn’t act it. 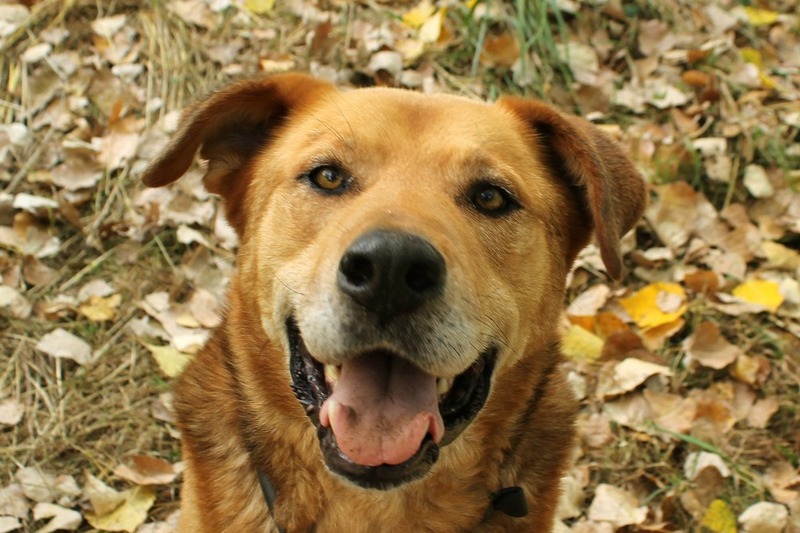 He was in great health for a dog of his age and size, and he even won Dogs Today Magazine’s Golden Oldie of the Month award. Only twenty four hours before he died, I found myself wondering if he’d make it to eighteen. Whilst he had only seven months of retirement at my house, following his arrival at the refuge in June 2014, he reminded me of several things. Old dogs don’t have to cost you a lot of money in vets’ bills. 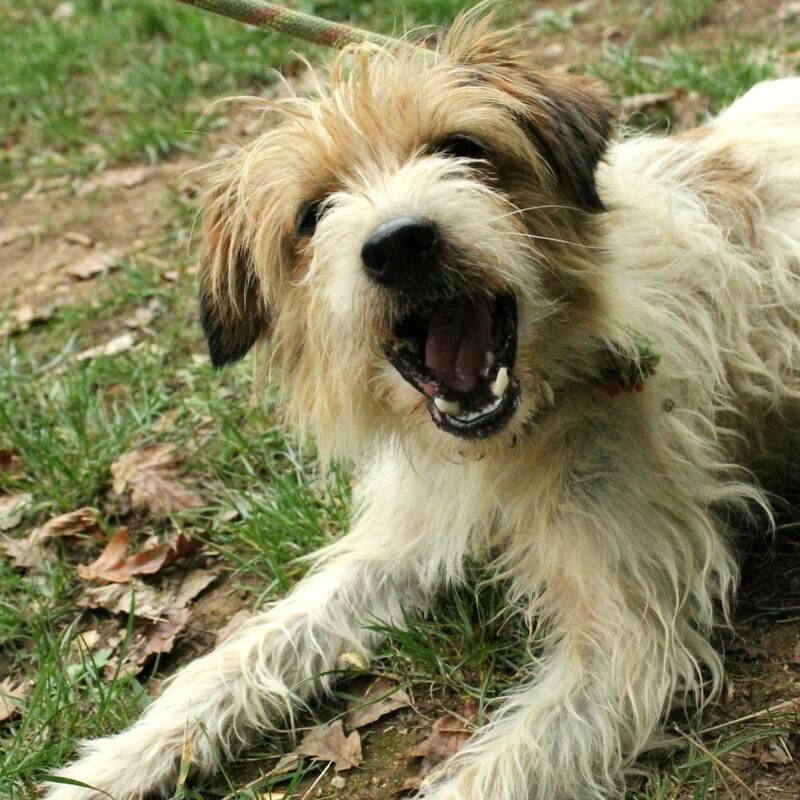 Ralf had accrued one vet bill of 68€ other than his final bills at the end of his life. He’d got in a scrap with a badger and I was worried he’d get an infection. 40€ of that fee was for an emergency appointment. If YOU don’t adopt the old boys, the likelihood is that everyone else will walk past them as well. Walking past the old dogs in the refuge for precisely that reason increases the likelihood that they will pass their last days and months there, dying of old age. That they were left homeless in their golden years is disgusting enough; to be judged over and over again because we’re too squeamish about death is just as sad. The death of an old dog in your arms is much less painful than knowing they would have died behind bars at a refuge if you hadn’t taken that chance. The sadness of a death after seven months of adopted life doesn’t mean that you wish those seven months weren’t a risk worth taking. It’s still sad to think of Ralf, six months after he died. It still makes me laugh to see his goofy face and his big head. My life would be poorer for never having had him in it. So think about age. Take into consideration as you would with a two-year-old dog. But unless you are prepared to say, “I can’t take this two-year-old dog because they might die,” please don’t say it of a ten-year-old either. Think about cost too. Know that the cost of a dog’s old age will hit you whether you face it right now or you face it in ten years’ time. At some point, unless you plan on dumping your dog at the refuge, you will have to pay the price of having a geriatric animal in your care. Then bear in mind that Fondation 30 Millions d’Amis provide a fund for many elderly dogs in refuges across France to promote their adoption. When you adopt a dog from one of their partner refuges, you can access up to 600€ for vets’ fees. You take your dog to the vet. The vet sends the bill to Fondation 30 Millions d’Amis. It’s that simple. Other than the costs of vaccinations or euthanasia, the fund can be used for any treatment over 30€. Your vet may also keep a running tab for you so that smaller medications can be totted up and run together to send on one bill. You have no paperwork to fill out; you hand over your “proof of adoption” letter and the vet does the rest. That can be very useful when you take on a dog like Tobby. Tobby came with advanced arthritis. He had been at the refuge for fourteen months and his condition had been deteriorating progressively. A bout of giardia didn’t help either. 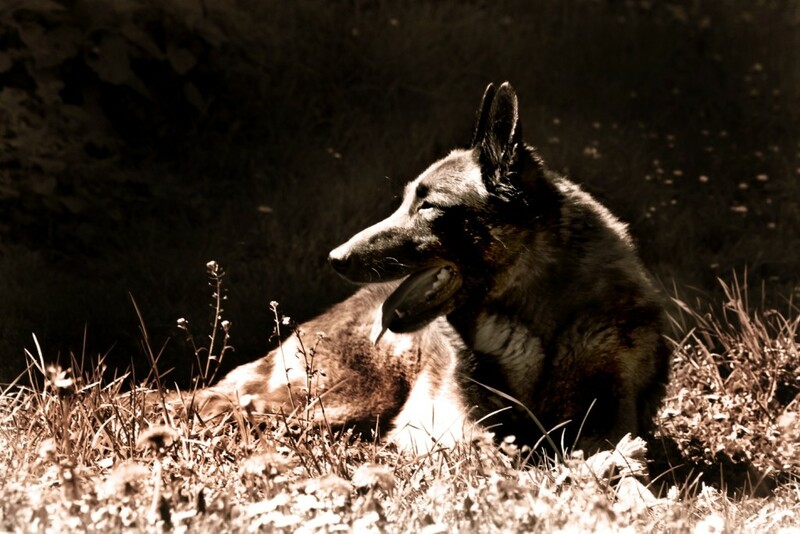 He weighed 21kg when I adopted him – very skinny for a Malinois. Unlike Ralf, who had no ongoing medical issues and nothing that was “treatable”, Tobby takes daily medication for his arthritis. At 30€ a bottle for 10 days’ treatment, it’s on the expensive side. Plus, he has a specialist diet. However, when I asked the vet for the best way to economise on his treatment, she ordered a bigger bottle that lasts for three months and costs 80€. That means it will be many, many months before I need to start paying for Tobby’s treatment out of my own wallet. To be frank, the expense of a fourth dog would not be one I would be able to pay for had I not got the support of this fund. I’m sure there are many people who might like to take on another dog but do not have the means to pay vets’ bills. Fondation 30 Millions d’Amis make it an easy decision to make. Knowing that Tobby has had six months of life in a home with warm beds, exercise, cuddles and good food without costing me very much at all is definitely something to consider. I don’t know how many good days he has left in him: I monitor his health and quality of life constantly without knowing if next week, or next month, he may not want to go on any more, or may not be able to. Will it be hard when it’s his time? Of course. It’s always hard when a dog or cat leaves our life. But seeing him lying on the couch across from me, staring at me with a profound intensity that’s either adoration, confusion or wind, it’s a whole lot nicer than knowing he’s in the refuge, still waiting for his forever home until he’s given up hope completely. If you would like to know more about Operation Oldies, or you would like to adopt one of our beautiful oldies, please get in touch.